Veröffentlicht am 22. Juni 2018 um 16:44 Uhr. Katrin Auel and Christine Neuhold, the authors of our new study, have broken new ground. They have analyzed comprehensively, for the first time, the different ways in which national parliaments are presently dealing with European issues and taking advantage of their peculiar institutional role in the European Union. The study looked at questions like: What are the different ways in which national parliaments approach the EU? Which national parliaments are more or less effective in integrating EU affairs in their work? As a result, the authors have come up with an extremely interesting and multifaceted mapping of national parliaments’ European role. 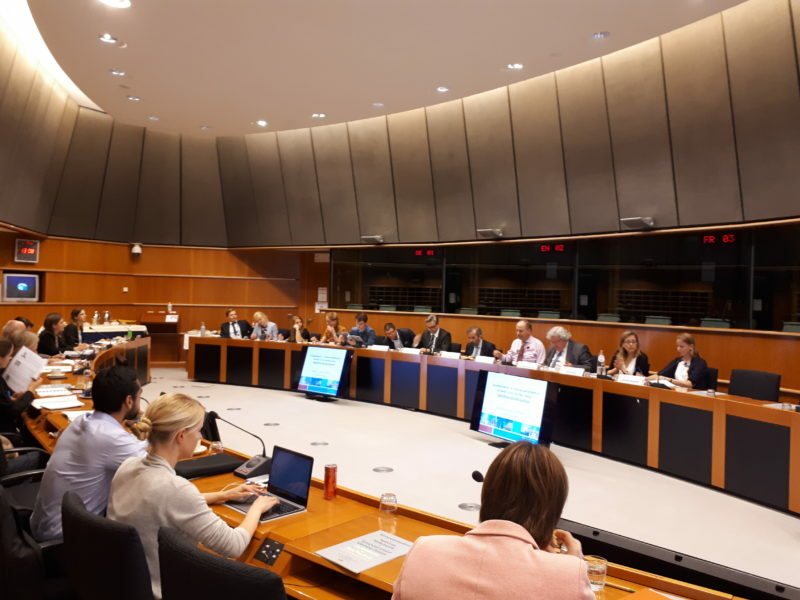 The authors presented their study in the European Parliament in Brussels on Wednesday, 20 June. I also invited four experts from European institutions and the media to comment their findings: Klaus Welle (Secretary-General of the European Parliament), Paulo Rangel (MEP and member of the AFCO Committee), Anthony Agotha (Cabinet of Frans Timmermans), Peter Müller (EU Correspondent DER SPIEGEL). They all have, in their different roles, experienced the involvement of national parliaments in EU affairs and highlighted different angles of the discussion. My final conclusions: If a continuous and effective cooperation between national parliaments and the European Parliament should become the norm, comprehensive involvement of national parliaments in EU affairs is an obvious pre-requisite. Ideally, we should build a “phalanx of parliaments” as one pillar of European democracy. We will present the study again in Berlin on 2 July, with different expert. Find out more here.